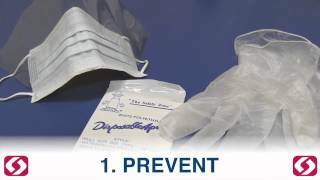 Corporate Video - Safetec of America, Inc.
Safetec’s Facility Hygiene Pack is hygiene made easy! 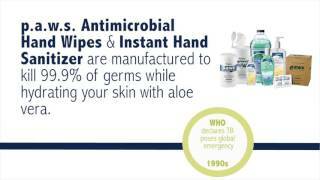 Packed with solutions for all your hand hygiene, skin cleanliness, and surface disinfecting needs. Ideal for small facilities or offices of 10 people or less, these packs contain all the essentials to keep your employees and coworkers feeling fresh and their workspaces free from germs and contaminants. In today’s tech-savvy world, people take their smartphones, tablets, computers, and electronics everywhere they go which means these devices pick up lots of dirt, grease, grime, and fingerprints along the way. 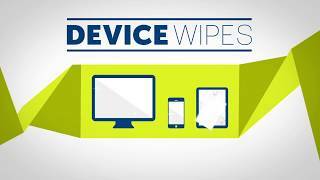 With this idea in mind, Safetec of America, Inc. has developed a quick, easy to use solution to keep your screens and surfaces clean, sanitized, and free from unwanted residue with the new Safetec Device Wipe. 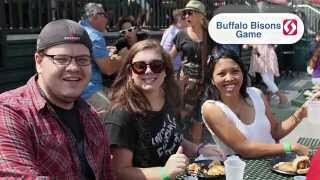 For the last 7 years, Safetec has genuinely embraced the idea of giving to our Buffalo community throughout the year. Our generous employees donated $1,000 and gifted 30 turkeys. Safetec, in turn, matched the $1,000 employee donation, and our friends at Kulback's, a long time standing company partner, doubled the total, making the final donation $4,000 to the Food Bank of WNY. Our fast-acting, topical pain relievers are made with all natural ingredients that are safe and effective. The cooling application penetrates deep and warms up to provide soothing relief. Convenient spray or roll-on applications allow you to target the pain right at the source and help hit all the hard to reach places. For use on backaches, muscle soreness, arthritis pain, bruises, swollen joints, and more! These pain relief options offer long-lasting, medicated relief, a no-touch application, and easy application. 25 Years of Protection What is our secret to 25 years in business? Hint: We listen to you! We’re proud of manufacturing high-quality American products that save lives & surpass standards, every single day. Thank you for helping us grow! 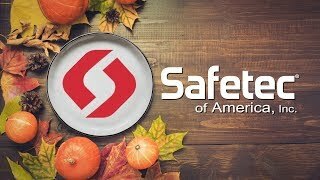 Safetec would not be where we are today without our wonderful customers. Thank you for your continued loyalty and business over the years. 2017 is going to be an exciting year as we celebrate 25 years and have many great things planned! In today’s tech-savvy world, people take their smartphones, tablets, computers, and electronics everywhere they go which means these devices pick up lots of dirt, grease, grime, and fingerprints along the way. 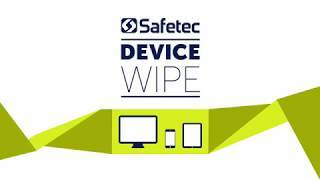 With this idea in mind, Safetec of America, Inc. has developed a quick, easy to use solution to keep your screens and surfaces clean, sanitized, and free from unwanted residue with their new Safetec Device Wipe. 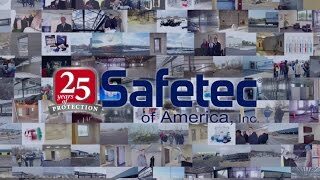 The Safetec of America manufacturing video showcases our talented team of individuals who strive to ensure quality, stability and value in each and every product that we manufacture and ship and proudly highlights our headquarters, located in Buffalo NY. The growing demands in today’s industries compel customers to rely on Safetec for ongoing solutions to keep workers safe from cross-contamination of infectious disease. 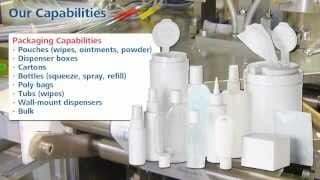 Use our products for all of your infection control, first aid, and compliance needs. 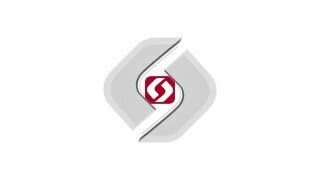 Safetec also provides members of the healthcare sector with the essential products necessary for proper sanitation and in addition, OSHA compliant spill containment and removal. Today's healthcare facilities must focus on maintaining high levels of worker safety while reducing operating costs. Help improve surgical room turnover and worker safety when handling or transporting liquid medical waste with the use of Red Z and Green-Z bodily fluid solidifiers. 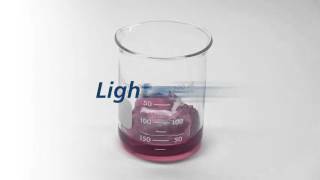 If you’re trying to find an ultra lightweight solidifier that will absorb fluids many times its weight by volume – then watch the Safetec Zorb Sheet (Product Demo). Zorb Sheets are wafer-thin and are available in a wide variety of sizes. 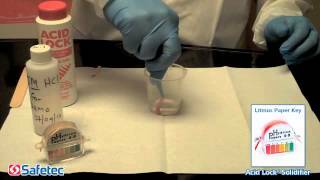 Watch the 3-inch sheet solidify 50 milliliters of 0.9% saline solution (synthetic blood) in a matter of minutes. Impregnated with superabsorbent polymers, Zorb Sheets activate upon fluid contact and quickly solidify into a semi-solid gel-like mass. Just one 3-inch Zorb Sheet can absorb more than three 5ml samples! Zorb Sheets help reduce the risks associated with handling and transporting blood/urine/other body fluids by solidifying contents typically placed in triple packaging systems, red sharps containers, syringe containers, biohazard bags, kick buckets, disposable lab containers, glassware and ink containers. The tissue-based material is perfect for healthcare and diagnostic professionals who handle and transport blood samples, urine samples, saliva samples and other bodily fluid samples. Zorb Sheets also help logistic facilities maintain DOT, CDC, OSHA, IATA, ICAO, US Postal Service and United Nations Regulations. Looking for a product that can solidify fluids considered infectious substances or dangerous goods – then look no further. Safetec Zafety Pacs are lightweight, fast acting and easy to use. See how quickly and effortlessly this little 2-gram pac solidifies 50 milliliters of 0.9% saline solution (synthetic blood). 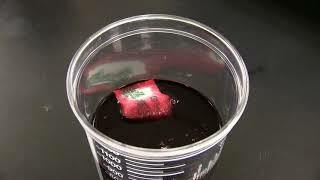 The superabsorbent polymer granules activate upon fluid contact, rapidly absorbing and expanding through the woven material, turning into a semi-solid gel-like mass. These granules have the ability to hold large amounts of water-based fluids against pressure! Zafety Pacs reduce the risks associated with handling and transporting blood/urine/other body fluids by solidifying contents typically placed in triple packaging systems, red sharps containers, syringe containers, biohazard bags, kick buckets, disposable lab containers, glassware and ink containers. These porous non-woven pacs are perfect for healthcare and diagnostic professionals who handle and transport blood samples, urine samples, saliva samples and other bodily fluid samples. Zafety Pacs are ideal for tattoo artists looking to solidify and safely dispose of used inks. Lastly, logistics facilities can help maintain DOT, CDC, OSHA, IATA, ICAO, US Postal Service and United Nations Regulations when utilizing Zafety Pacs in accordance with proper triple packaging procedures. 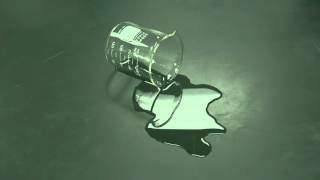 Our Green-Z® Spill Control Solidifier is a fluid control solidifier that can be used in the cleanup of body fluids, chemical, glutaraldehyde, or mercury spills. 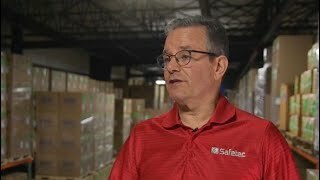 Welcome to Safetec of America's Contract Packaging and Private Labeling Informational Video. 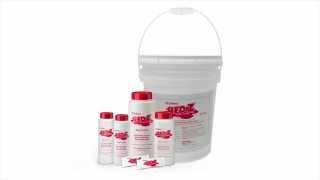 EZ-Cleans Plus® Kit (17121) National Standard EZ-Cleans® Kit (25000, 25005, 25006) Universal Precautions Compliance Kit (17100, 17102, 17103) Safetec Bio Hazard Spill Clean Up Kits- Combine personal protection and clean-up items mandated by OSHA, and State Health Departments for the clean-up of blood or body fluid spills. 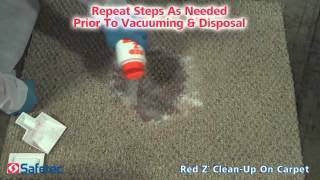 For blood and bodily fluid spills, use Safetec Red Z Solidifier for spill cleanup. 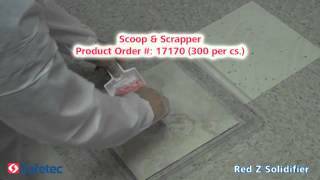 Safetec FSC-1 Formalin Spill Video For Use On: Alkaline Fluids Key Points: . Turns Blue then Yellow . Neutralizes and solidifies HIGH pH fluid spills Available: . Individually . Spill Leader Kit . Multi-Purpose Kit Step 1.) Remember, To always wear protective gear and exercise caution during clean up. Step 2.) Flip open one side of the top and pour Safetec's FSC-1 over the fluid, it will cool rapidly. Step 3.) You will also notice the fluid will quickly set; please note: add more FSC-1 as you feel necessary. Step 4.) Finally, you are now ready for clean-up. Remember to follow by your facilities removal and disposal guidelines. For Use On: Acidic Fluids Key Points: . Turns Pink then Yellow . Neutralizes and solidifies LOW pH fluid spills Available: . Individually . Spill Leader Kit . Multi-Purpose Kit *Remember to always wear protective gear when cleaning up spills Step 1.) Remember, To always wear protective gear and exercise caution during clean up. Step 2.) We will begin by using our litmus paper to test the fluid and show the low pH level. Step 3.) Flip open one side of the top and pour Safetec's Acid Lock onto the acidic fluid. Step 4.) 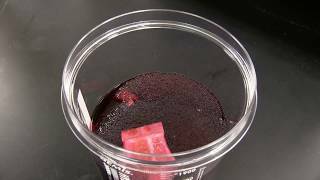 The fluid will then solidify and change color from pink to yellow when safely neutralized . Step 5.) Finally, we will use our litmus paper again to test and show you the neutralized pH level of the fluid. Step 6.) You are now ready for clean-up. Remember to follow by your facilities removal and disposal guidelines. 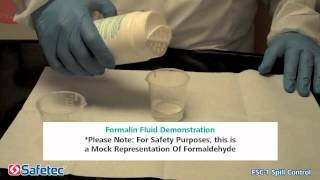 For Use On: Oil Based Fluids Key Points: . 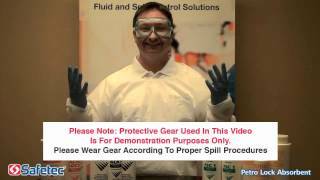 Quickly & easily absorbs oil based spills Available: . Individually . Spill Leader Kit . Multi-Purpose Kit Step 1.) Remember, To always wear protective gear and exercise caution during clean up. Step 2.) Flip open one side of the top and pour Safetec's Petro Lock onto the oil based fluid. Step 3.) Allow the fluid to the absorb completely; please note: add more Petro Lock as you feel necessary. Step 4.) Finally, you are now ready for clean-up. Remember to follow by your facilities removal and disposal guidelines. 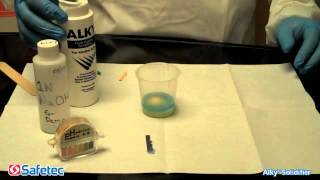 For Use On: Alkaline Fluids Key Points: . Turns Blue then Yellow . Neutralizes and solidifies HIGH pH fluid spills Available: . Individually . Spill Leader Kit . 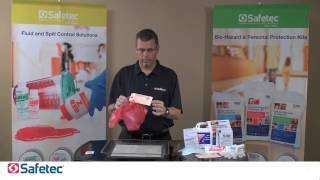 Multi-Purpose Kit *Remember to always wear protective gear when cleaning up spills Step 1.) Remember, To always wear protective gear and exercise caution during clean up. Step 2.) We will begin by using our litmus paper to test the fluid and show the high pH level. Step 3.) Flip open one side of the top and pour Safetec's Alky onto the alkaline fluid. Step 4.) The fluid will then solidify and change color from blue to yellow when safely neutralized. Step 5.) Finally, we will use our litmus paper again to test and show you the neutralized pH level of the fluid. Step 6.) You are now ready for clean-up. Remember to follow by your facilities removal and disposal guidelines.